Recent polls have consistently declared that J.R.R. Tolkien is "the most influential author of the century," and The Lord of the Rings is "the book of the century." In support of these claims, the prominent medievalist and scholar of fantasy Professor Tom Shippey now presents us with a fascinating companion to the works of J.R.R. Tolkien, focusing in particular on The Hobbit, The Lord of the Rings, and The Silmarillion. Tom Shippey also examines The Hobbit, explaining The Hobbits' anachronistic relationship to the heroic world of Middle-earth, and shows the fundamental importance of The Silmarillion to the canon of Tolkien's work. He offers as well an illuminating look at other, lesser-known works in their connection to Tolkien's life. Originally published by Harper Collins Publishers in 2000 at 16.99 and in the US in March 2001 by Houghton Mifflin at $26.00. In a wonderfully readable study aimed at not just the Tolkien fan but any literate person curious about this fantasy author's extraordinary popularity, British scholar Shippey (The Road to Middle-earth) makes an impressive, low-key case for why the creator of Middle-earth is deserving of acclaim. (Recent polls in Britain have consistently put The Lord of the Rings at the top of greatest books of the century lists.) Having taught the same Old English syllabus at Oxford that his subject once did, Shippey is especially well qualified to discuss Tolkien's Anglo-Saxon sources, notably Beowulf, for the elvish languages and names used in the fiction. The author's theory on the origin of the word hobbit, for example, is as learned as it is free of academic jargon. Even his analyses of the abstruse Silmarillion, Tolkien's equivalent of Joyce's Finnegans Wake, avoid getting too technical. 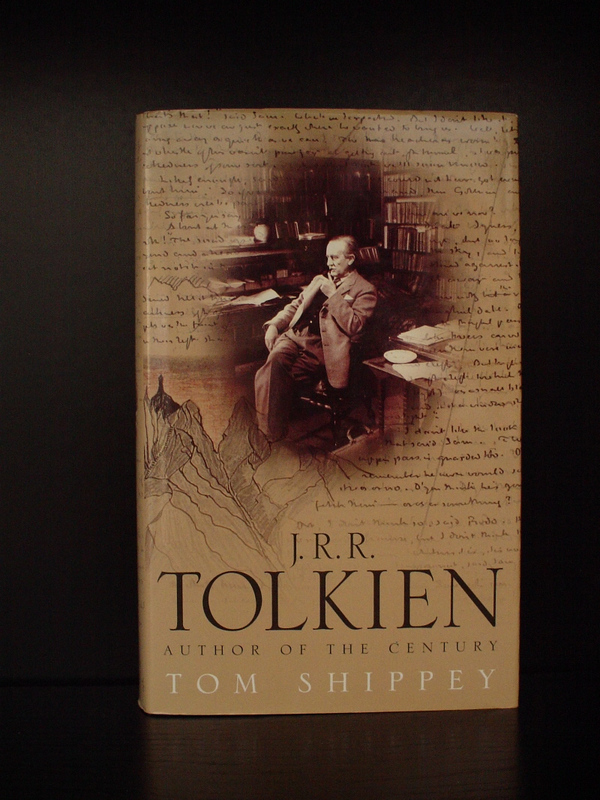 In addition, Shippey shows that Tolkien as a storyteller often improved on his ancient sources, while The Lord of the Rings is unmistakably a work of its time. (The Shire chapters, like Orwell's 1984, evoke the bleakness of late-'40s Britain.) In treating such topics as the nature of evil, religion, allegory, style and genre, the author nimbly answers the objections of Tolkien's more rabid critics. By the end, he has convincingly demonstrated why the much imitated Tolkien remains inimitable and continues to appeal. (May 16) Forecast: With the long-awaited part one of The Lord of the Rings, The Fellowship of the Ring, due for movie release later this year, this, like all Tolkien-related titles, will benefit from hobbit fever. Recent polls have consistently declared that J.R.R. Tolkien is "the most influential author of the century" and The Lord of the Rings is "the book of the century." In support of these claims, Tom Shippey, the prominent medievalist and scholar of fantasy, now presents us with a fascinating companion to the works of J.R.R. Tolkien, focusing in particular on The Hobbit, The Lord of the Rings, and THE SILMARILLION. The core of the book consists of three chapters that examine The Lord of the Rings as a linguistic and cultural map, as a twisted web of story, and as a response to the meaning of myth. Shippey presents a unique argument to explain the nature of evil and gives readers a compelling insight into the complicated interweaving of many strands as the narrative moves between characters and into the remarkable skill behind the construction of such a rich and complex story. Other chapters examine The Hobbit, explaining The Hobbits' anachronistic relationship to the heroic world of Middle-earth; the fundamental importance of THE SILMARILLION to Tolkien's canon; and an illuminating look at FARMER GILES OF HAM, LEAF BY NIGGLE, and other lesser-known works in connection to Tolkien's life. With a clear and accessible style, Shippey offers a new approach to Tolkien, to fantasy, and to the importance of language in literature. He demonstrates how The Hobbit, The Lord of the Rings, and THE SILMARILLION form part of a live and continuing tradition of storytelling that can trace its roots back through Grimms' FAIREY TALES to BEOWULF. J.R.R. TOLKIEN: AUTHOR OF THE CENTURY not only gives readers a deeper understanding of Tolkien and his work, but also serves as a learned and entertaining introduction to some of the finest and most influential works of fantasy ever written.